flaming, originally uploaded by jahansell. Literally! No, actually the leaves didn't catch fire - Karl Saliter is too good for that. 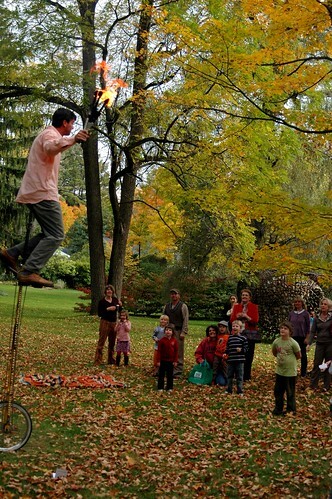 He brought his hilarious circus act to the Sharon Historical Society yesterday to the delight of all.